Senior Communist Party of China (CPC) official Wang Huning on Thursday called for resolute efforts to win the battle of preventing and defusing any "major risks" and ensure sustained and healthy development of the economy and social stability. 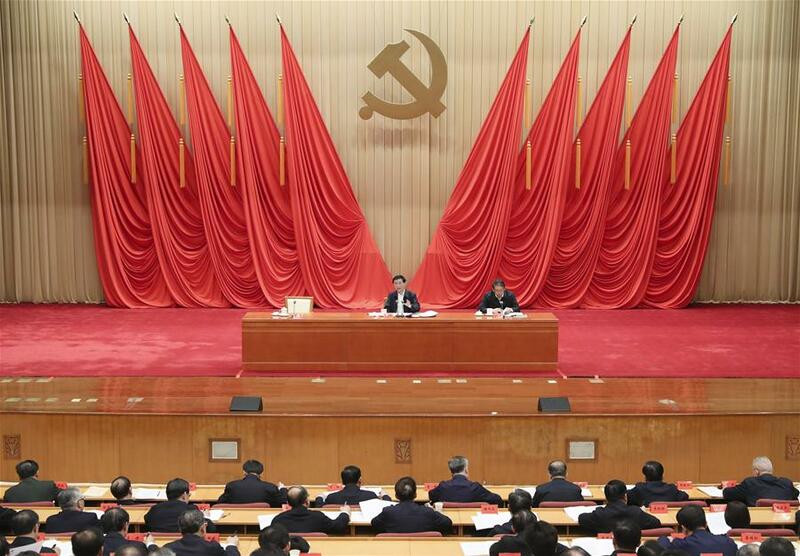 Wang, a member of the Standing Committee of the Political Bureau of the CPC Central Committee and a member of the Secretariat of the CPC Central Committee, made the remarks while addressing the commencement of a study session at the Party School of the CPC Central Committee attended by senior provincial and ministerial officials. He urged for successful work in all respects and a victory over the battle of preventing and defusing major risks, in order to celebrate the 70th anniversary of the founding of the People's Republic of China with "brilliant exploits. Through the study session, which started Monday, the participants were believed to have developed in-depth knowledge and a more precise understanding of the profound changes China faces in its external environment and of the new situations, problems and challenges relating to the country's domestic reform, development and stability. They were also said to have gained a better understanding of the need to improve prevention and control capabilities, with focus on preventing and defusing any major risks and ensuring sustained and healthy development of the economy and social stability, and increased their sense of responsibility to perform well duties. Ten of the participants made speeches at Thursday's commencement to share what they had gained through the session. While noting that 2019 was a crucial year for China to build a moderately prosperous society in all respects, Wang called on the officials to go all out to do a good job of major risk prevention and defusing. He stressed the importance of increasing awareness of risks and sticking to bottom-line thinking, calling for effective efforts to enhance capabilities to spot risks and improve the system to prevent and defuse major risks.